B.I.R. 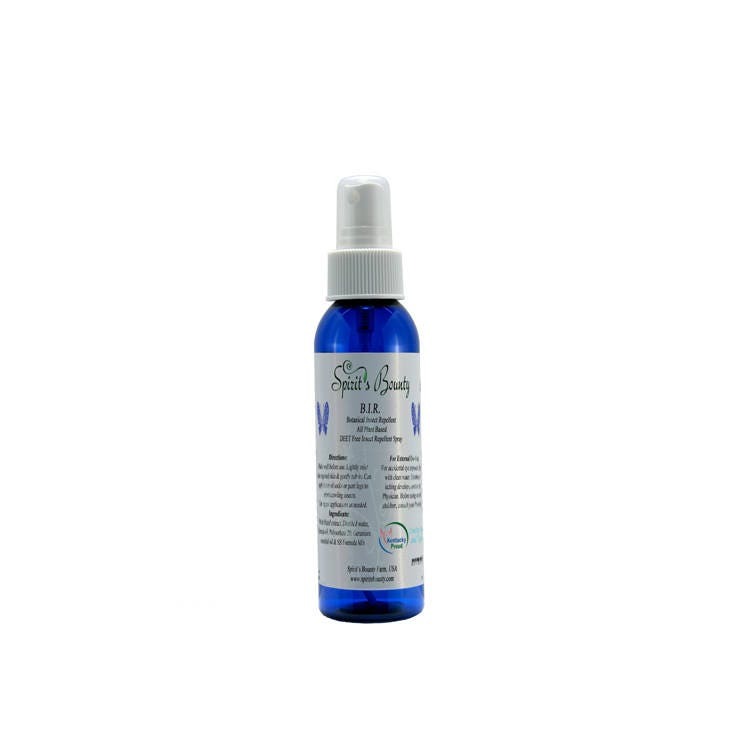 - DEET Free Botanical Insect Repellent Spray. Spirit’s Bounty Farm B.I.R. is a DEET free, plant-based insect repellent, with a soft herbal scent, and will not leave you feeling greasy. B.I.R. has been evaluated in Florida, and was found to repel mosquitos, other flying insects, and crawling insects such as ticks and chiggers. B.I.R. can be easily sprayed directly to exposed skin and can be lightly applied to socks or pant legs to repel crawling insects. B.I.R. does not contain any petroleum products, is non-GMO, and is suitable for vegans. For external use only. Do not get into eyes. Before using on small children, consult with your health care provider. Ingredients: Witch Hazel extract, Distilled water, Karanja oil, Polysorbate 20, Geranium essential oil & SB Formula Mix.